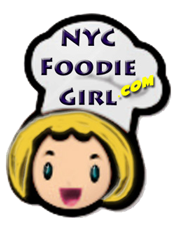 2015 was a year that NYC Foodie Girl had to re-boot, per se. It's not that we didn't dine out, it's merely a barrage of circumstances that precluded my ability to post and write for my blog on a regular basis. I'm aiming for 2016 to be much better. Focusing on foodie events, restaurants, product reviews and of course, travel. If you have any suggestions, I'm always ready and willing to listen! I have to check my inbox for some invites that have come my way, too. I can't tell you how much I appreciate your emails, invitations and suggestions for this website! Keep them coming! And, remember: Life is too short to eat bad food.